Well This is my second or third pair of earrings because someone always falls in love with them and steals them and I'm stuck making another pair. I have these thoughts going threw my head all the time and sometimes I just go threw with them. I find myself roaming the aisles of Michael's Looking for something to create. I remembered the first Iphone case I made I was so happy I showed it to everyone and felt great that it was something I did all on my own. 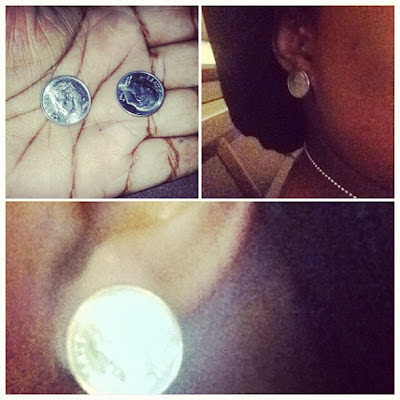 My Inspiration for the dime piece earrings came from me wanting to make a statement stud. I get so many compliments when I wear them. let stand for 2 minutes and now you are ready to rock your Dime Piece earrings! 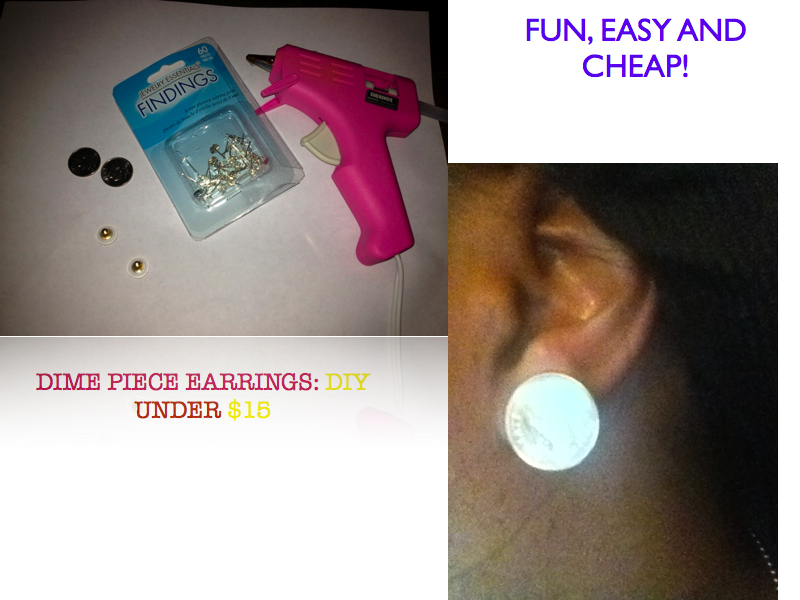 *If you want these to last longer I suggest coating the earrings with a clear coat. I guarantee these will be a conversational piece anywhere you go you can use any coin of your choice but the bigger the coin the bigger the earring post and stronger your glue adhesive should be. I'm going to have to make me some!! Great idea thanks for sharing! This is so cute. I am making a pair fir my 4 year old. Thank you Linda.